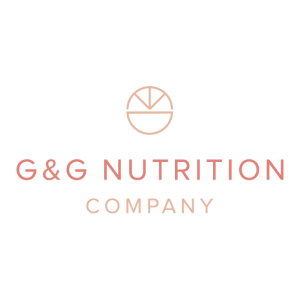 Using a Professional Branding Company for Your Nutrition Business | Nutrition Coaching | G & G Nutrition Co.
Hi friends! You may noticed a little bit of a fresh look around my website over the past 6 months or so. I didn’t do a total 180 with my business but I have a new logo, different colors and brand messaging that is more specific to working women- a group I’m passionate about! 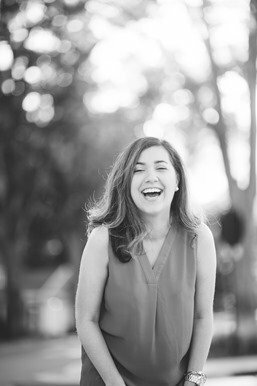 All of this has been a result of working with a branding company, and I wanted to share my experience with you! So I will be completely honest with you- I have felt a little lost with my brand identity ever since I started this blog several years ago. I know who I am, I know that I love nutrition and I know that I like to work with busy women. But beyond that, I’ve had a hard time establishing my messaging and meshing my blog to be part of my business. My posting format and even my content has never really been consistent because of this. Once I started recording podcast episodes, I realized how badly I needed to figure this stuff out. I had a great podcast recording with Jen from Pretty Little Grub about exercise on vacation. I asked her about her skincare routine since she used to be a makeup artist, and then I immediately started wondering if I should edit it out of the recording since the question had nothing to do with nutrition. 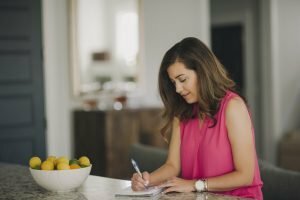 This goes back to my basic questions about blogging and my brand- do I only talk about nutrition? 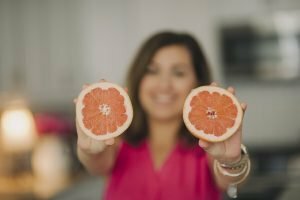 Is it OK if I have pink on my website? 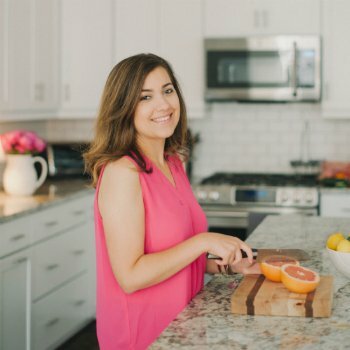 Should I *only* talk in an informational way about nutrition? Can I mention my dog and gel manicures or does that turn people off? Being unsure of these things made me realize I was having a brand identity crisis. And then on the business end- I have been so happy, lucky and grateful to have a growing clientele. But I had potential clients contacting me who clearly weren’t a good fit, and many were actually the opposite of my ideal client :) They specifically said they chose to contact me after reading my site and the “about me” page, so obviously my messaging needed some tweaking. I ended up working with Flourish Collaborative for my professional branding. 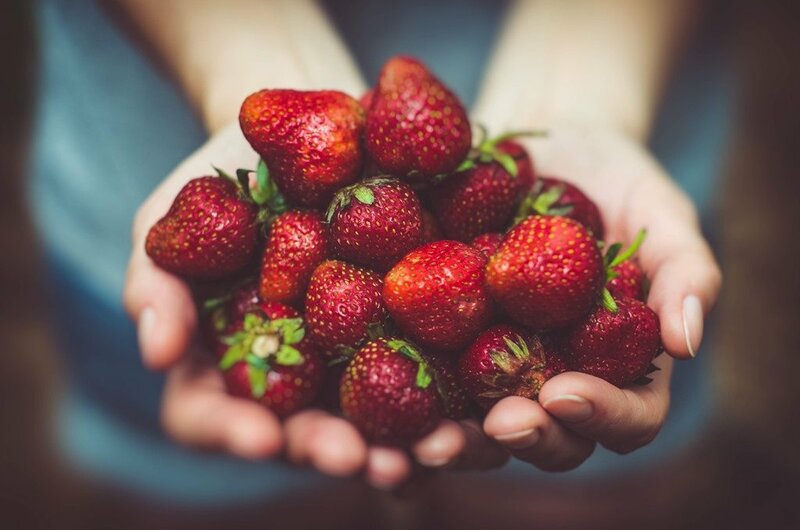 They came highly recommended on several business Facebook groups, and they also worked with another fellow dietitian who was pleased with their services. There are a lot of different companies out there. If you can’t decide who to work with then I’d recommend requesting a free consult with each company so you can chat with them and get a feel for their style. You can also ask to see example of their work with other clients. 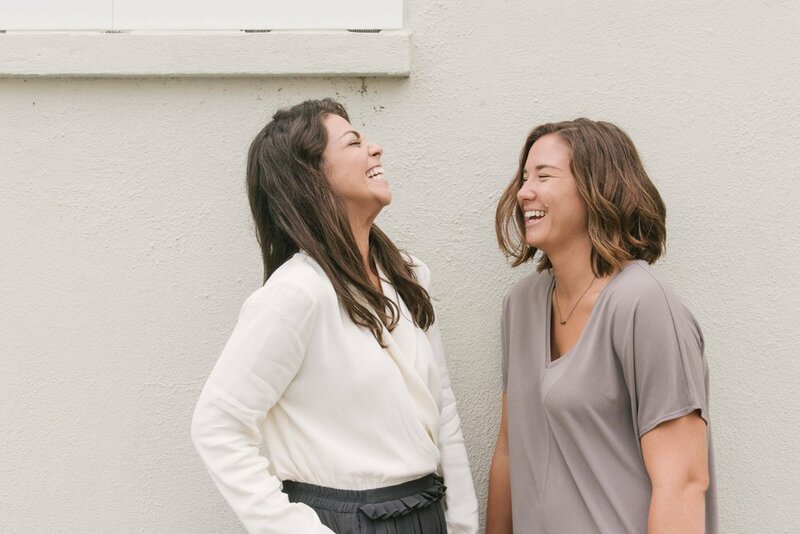 Flourish Collaborative is owned by Caty and Erica. They gave me permission to use their photo! They have many different services but I ended up choosing their “Bloom Book” package. This basically included a 6-week branding process of weekly Skype appointments, advisement, and then a finished product that included imagery, a color palette, new logo and several other pieces of collateral that would represent my brand. The finished tangible product was really just a piece of the process… the conversation during those 6 weeks about who my ideal client is and how my blog/podcast/website can resonate with her was really the biggest benefit. At $2495, the package was not cheap. But after being so fiscally conservative with my business for almost a year, I felt like it was the right time to invest in something like this. The process started out by meeting with Caty and Erica over Skype once per week for 4 weeks. I think I was the most annoying client ever because I was always having skype malfunctions. 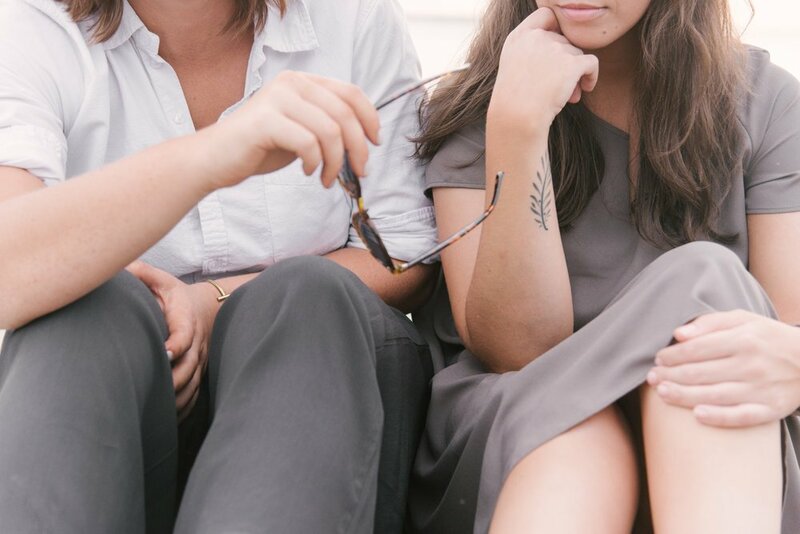 Each week highlighted a different topic, and we discussed everything about me and my business, where I saw G&G in the future, and who I pictured as my ideal client. 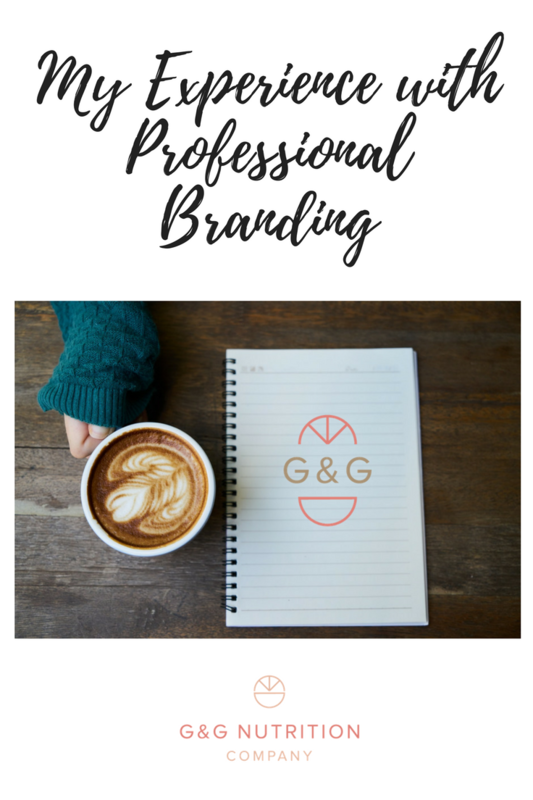 We talked about some of the struggles I have had with branding in the past and we also compared me and my business to other wellness professionals doing the same thing. Throughout this process, they really helped me refine who this “busy woman” is that I would like to help. Once we had these conversations and I made a pinterest board of colors and images that I was attracted to, Caty and Erica created a rough draft of few color palettes and logo ideas for my business. I gave them my feedback and then they created a final product. 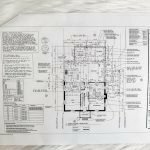 I really loved everything related to this whole process, but I definitely had some “light bulb” moments just from the simple conversations during our meetings. The first was that Caty and Erica asked me a lot of questions but constantly told me “there is no right or wrong answer” to each question. I had spent the last year searching for the right and wrong answers when in reality, the answers were simply within! The right thing is whatever resonates with my ideal client and what feels good to me. Another interesting thing happened during the weekly meeting where we compared G&G to a 3 other dietitians on the online space. During our meeting, Caty and Erica openly discussed my areas of improvement, specifically with my blog content and social media posting. But what was eye-opening to me was when we were going through each person that I had selected for comparison, and Caty and Erica also pointed out things that they could improve on, too. This just made me see that no one is perfect, and connecting with your ideal client is really the most important thing. 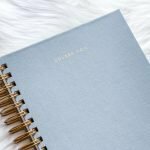 I realized I should be investing my energy into doing my own thing, connecting with ideal clients and focusing on G&G. Comparison is the thief of joy! Lastly- the podcast! I had been having a horrible time trying to think of some catchy name, and they suggested using my old blog name “Grapefruit & Granola” for my podcast! I hadn’t really considered this, but I love bringing things back to the beginning since that is a huge piece of where my business started. Now that the branding process is completed and I’ve had 6 months to let everything sink in, I am so so happy that I invested my time and money into it. 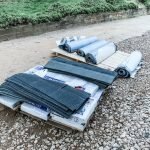 I feel a new sense of confidence with my business, blog and podcast. 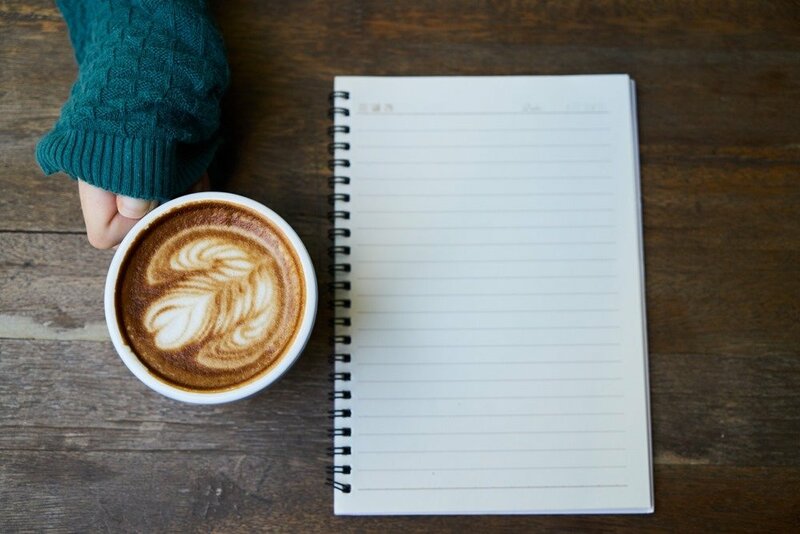 I used to have a lot of doubts and second thoughts about my blog content (and that was spilling into my podcast), but now I just focus on my ideal client and what she would want to read and hear. 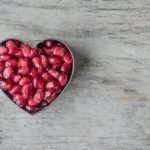 Is Branding Right for You? If you are starting a brand new business and are still figuring out a lot of things then I would recommend holding off on branding until you have a more concrete idea of where you’re doing. My business changed SO much in that first year. But if you have a pretty good idea of who you want to help and where you see your business going then I would definitely recommend looking into it. Speaking of the first year of business, I spent all of 2017 trying to build my business and was able to leave my full-time 6 months into that process. 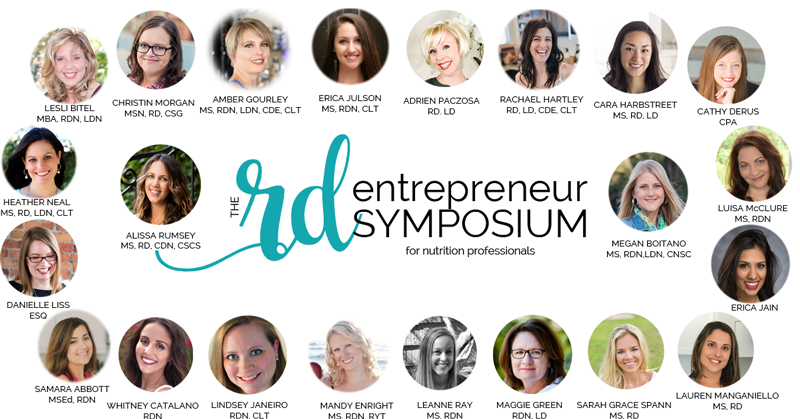 I am sharing that experience with a presentation at the virtual 2018 RD Entrepreneurs Symposium, and registration opens today! My presentation is all about how to make the transition from your full-time job to being a full-time business owner. 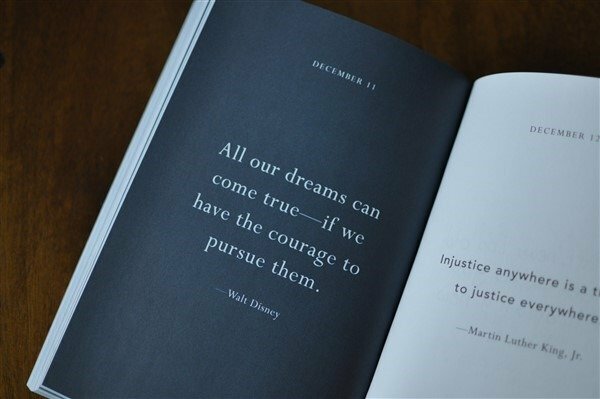 I remember the idea of leaving my full-time job (and all of my benefits) seemed both terrifying and impossible. But it’s not! My presentation gives you some great tips on how to make the transition yourself. The symposium has been approved for 22 CEUs. The link above is a referral link. Thank you for the support! Samara, thank you so much for this thorough and honest account of our time together! 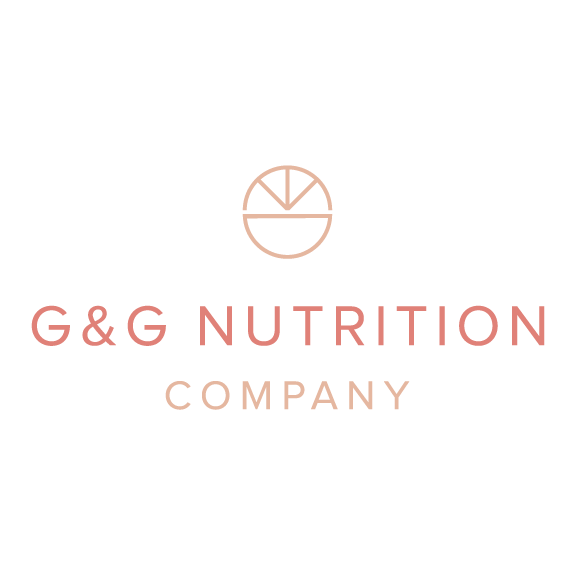 We loved our #realtalk conversations throughout this process and are so happy to see GG Nutrition Co. flourish in part due to the investment you made. Cheers to a fabulous 2018!